Quest novels are tricky. The principal character has to physically get up and go somewhere, or at least mentally do the same thing. Often the journey is treacherous and dangerous and tricky. Sometimes the quest is fulfilled but takes an awful toll on the one who ventures forth. Occasionally the disappointment felt by the intrepid one destroys worlds. In his second quest book, part of a trilogy of adventures involving women on missions (the first was Luna; the last will be Janey), Richard Matturro has created a character who insists she is hard to like, let alone love, and she sets out to prove herself right. She fails miserably. Leslie is a beautiful ugly duckling. She is a librarian in Troy, N.Y., who has spent 25 years wondering how her best shot at love went awry. Taking a leave of absence from her job, she sets out on a road less traveled to discover who she really is and what happened to her after letting herself love a boy at Playland, an amusement park that holds her in its thrall long years later. The only real problem with her quest is her sidetrack visit home to see her family. Like the traps set for bears and other wild beasts, this family can hold her back from fulfillment as they sharply criticize her for not carrying through their dreams for her. Her sister and brother don’t understand her at all and only cause her more pain than she is ready to experience. Her mother is no better. Only an aunt, living alone on an upstate New York farm–distant but dear–is able to give Leslie what she wants: the permission to follow her unanticipated dreams to recover her past and discover her future. Aunt Sybil, in fact, is one of Matturro’s finest characters, drawn with a thin brush in a sepia ink. She is the first of the book’s modern-day people to take on life and she instills this quality into Leslie herself. 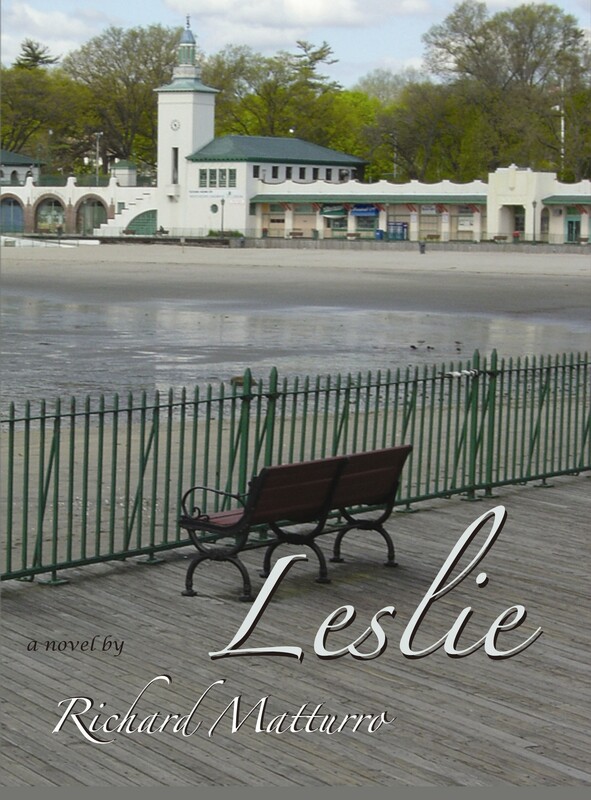 The book, written in the first person in Leslie’s own voice, suddenly gyrates into a vibrant life-force with Sybil. Even though Leslie’s dog and traveling companion, Argos, disappears out the car door never to be seen or heard from again until Leslie departs the farm on her quest, the new reality of the book is worth the minor charge of animal abuse. Unfortunately at this point we are 99 pages into the story that is finally about to begin in earnest. The boy, or man, she is seeking on this quest is Martin Ruderi. En route to his side, she meets a bevy of people who both aid and affect her eventual reunion with the boy she once knew, the man she cannot connect with in her new life. More important than these strangers, however, is her gradual realization that knowing something new is really what the quest is about, and she does learn at least one new thing every day. Experiencing Leslie from the inside is a wonderful affair. Matturro made an interesting choice here. He is writing intelligently and sensitively from inside a woman whose intellectual pursuits have always taken precedence over her instinctive and intuitive selves. This is a woman whose decisions are not be regretted, no matter what the consequences. She is self-absorbed but not self-possessed. Her journey, not a long one, brings her to a point of exchanging those qualities within herself. It’s a fascinating jaunt. Matturro writes very well, and there are no missteps in character, gender or point of view. He handles the sexual tensions in Leslie with a perfect balance of tenderness and humility, fervor and grace. Martin, once he enters the picture as his mature self, is not the man Leslie, or we, would have expected, and the ideal of the quest becomes the too-real of the present. It is just as fascinating to watch Leslie deal with her new obsessions as with her old ones. As in Luna, amusement parks figure prominently in this novel and the strong woman/weak man combination is again paramount. In this case, however, the strong woman isn’t necessarily the only woman inhabiting the heroine’s body and the weak man has more character than he would have her believe when they meet again. The recognition scene, finely written and beautifully illustrated in just a few words, is a memorable moment in this book, as is Leslie’s renewable relationship with her aunt’s horse, Nutty. These are both tiny moments in the much larger tapestry of the tale, but they resonate instantly, like a wide gold thread on the historical carpet. The author seems to know and understand both the woman and her many places in the world, for he draws them side by side, throughout the book, and gives each its needed space. It actually took me a while to like this book, but I ended up as enthralled with it as Leslie is with her personal ideals and goals. It takes her even longer, in the book, to like herself. Perhaps that’s the message Matturro is sending us: things worthwhile take time.